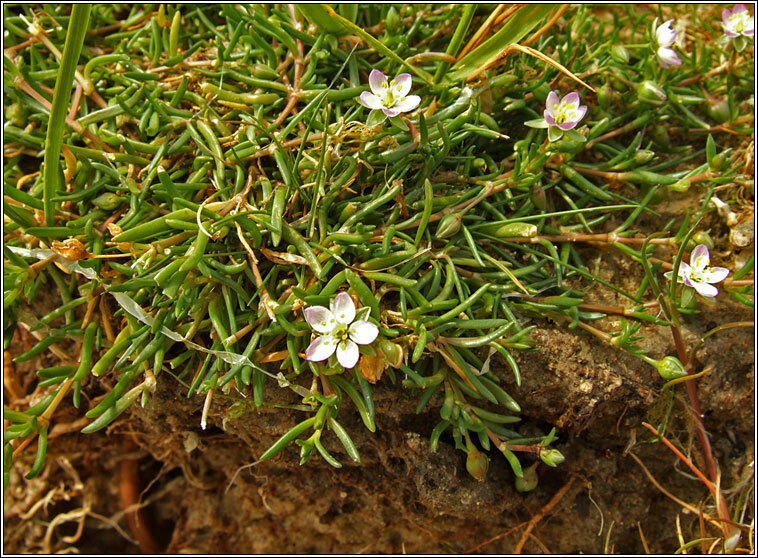 Habitat: Coastal on muddy or gravelly shorelines and salt marshes. 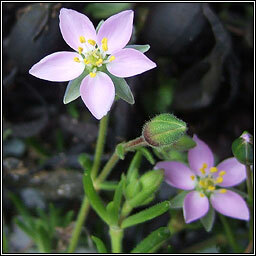 A creeping or +/- ascending plant with small, pointed, fleshy leaves and pink or pinky-white flowers. The petals are as long or longer than the sepals and most seeds have a membranous wing. Height to 30cm.